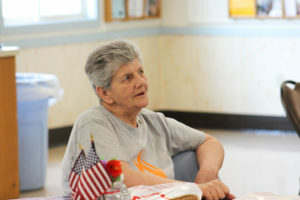 Edna Miller suffered three Strokes back-to-back in 2007. The cause of her Strokes were congestive heart failure and high blood pressure. The Strokes affected her speech, balance, and entire right side of her body’s functioning. Edna was at work when her Stroke started and cannot recall what happened. The doctors told Edna that she would never walk again, but that wasn’t going to stop her from trying. At the age of 67, Edna is still walking, talking, and most importantly, enjoying life to the fullest. 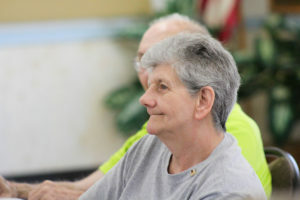 She now watches what she eats, exercises, and actively participates in her local senior center, Next Gen, located in Solanco, PA.
Edna attended one of our Stroke presentations last Friday at Next Gen Senior Center, where she told her survival story to our team where seniors learned the warning signs for Stroke including; F.A.S.T. (F is for Facial Drooping, A is for Arm Pain, S is for Slurred Speech, and T is for Time To Call 9-1-1.) Think F.A.S.T.! 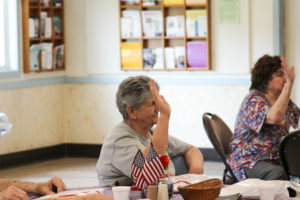 We offer Stroke presentations for senior centers, rehab facilities, assisted living communities, and more for facilities in the 13 counties that we serve to help their seniors stay informed. Hands From The Heart Home Healthcare Services believe that it is important to educate the communities we serve about Stroke and to raise awareness about Stroke Prevention. If a Stroke affects you or your family, we offer specialized Stroke Recovering Services with Non-Medical Caregivers trained in Stroke Recovery. 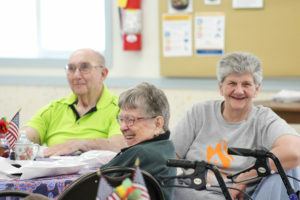 “I loved hearing about the services your agency provides, especially the Stroke Recovery Services that you offer your clients, just like me,” Edna said. 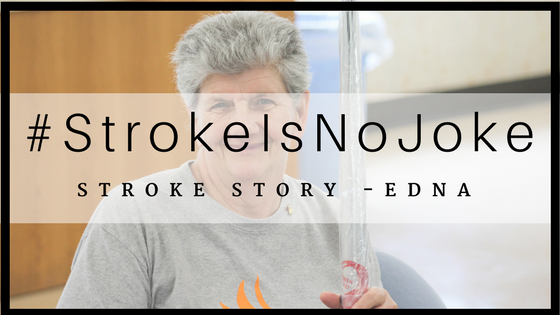 We are conducting a Stroke campaign this week to help Stroke survivors, just like Edna, share #theirstory with others through social media using the hashtag #StrokeIsNoJoke. When talking to Edna about our campaign, she couldn’t wait to share her #StrokeStory! Follow us on Facebook, Twitter & Instagram to share your #StrokeStory or read about our Stroke campaign, #StrokeIsNoJoke.